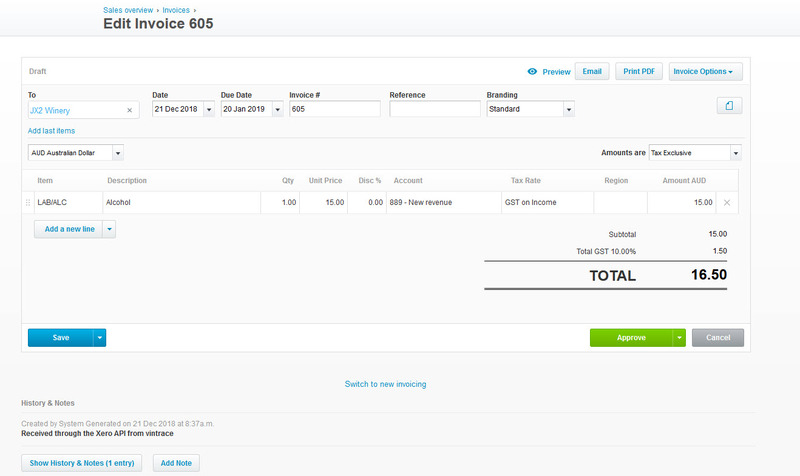 It is now possible to sync data from your service orders to your preferred accounting package. Below we will show you how to do it with Xero. To begin, create a charge or use an existing one. Click here for more information on how to configure Client billing and generate charges. Next, go to Console > Client billing invoices and click on New invoice run. Update your selection criteria and click on Generate invoice. 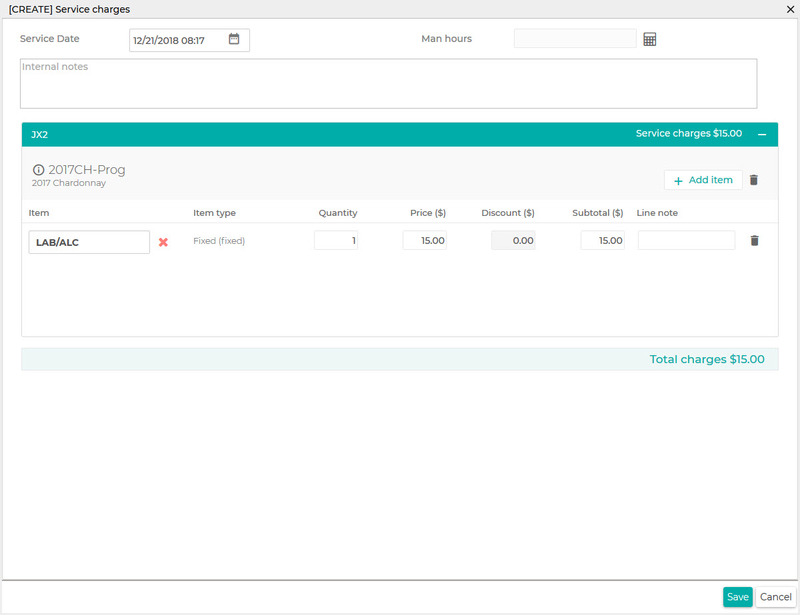 This will generate an invoice for the charges you have created and auto select it in the Client billing invoices console. Click on the Action icon then click on Sync. This will send the invoice to the Accounting Package. You will then see a successfully synced notification and the Synced column is updated with a tick mark. You can also sync multiple invoices by selecting the invoices you want to sync and then click on Actions > Sync on the bottom of the table. 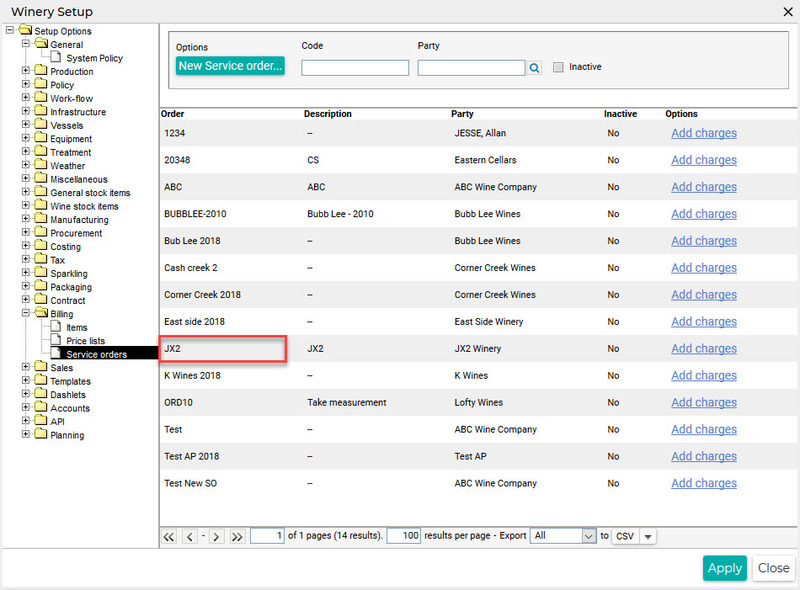 To see the link to view the invoice in your accounting package, go to Winery Setup > Billing > Service order and select the service order of your invoice. Update your search criteria and click on Search. Go to the invoice you have generated, it has a link under the Ext. Ref column. Clicking the link will take you to your Accounting Package’s matching invoice. By default charges will have the same tax rate as the default account invoices are charged to within the Accounting Package.